Model no. 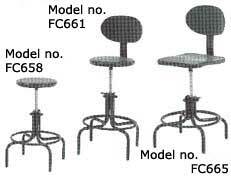 Ajustable Height" Seat Dimensions"
Seats are 14" diameter, steel, with an 1/8" hardboard inlay. Model no. 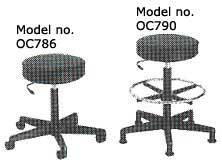 Height" Seat Diameter "
model no. Tray Diametre" Seat Diametre" Height"
Designed for laboratories, medical offices, and clean rooms. Model no. 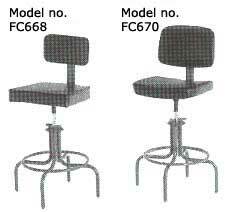 Adjustable Height" Seat Dimensions"